With summer in full gear, it’s getting harder and harder to entertain the kids. 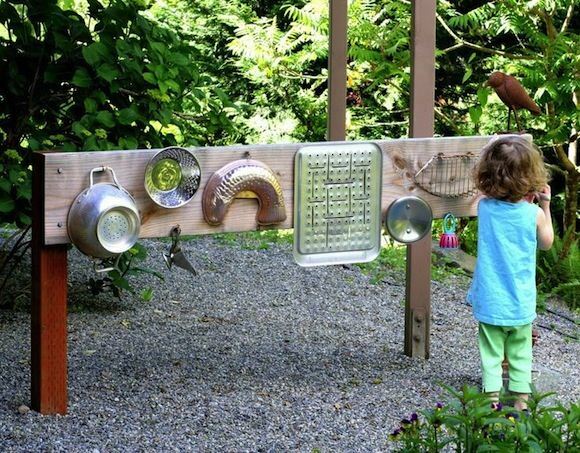 But before you let them park it in front of the TV or gaming console, here are eight super fun & kid-approved DIY project ideas to keep them entertained outdoors, in the fresh air. Build your little one the sandbox of their dreams. It’s basically like a raised garden bed, but filled with play sand instead of soil and edible plants for countless hours of fun. The casters make it easy to move and store, and you can even sew a cover to avoid bugs and friendly visits from the neighbor’s cat. 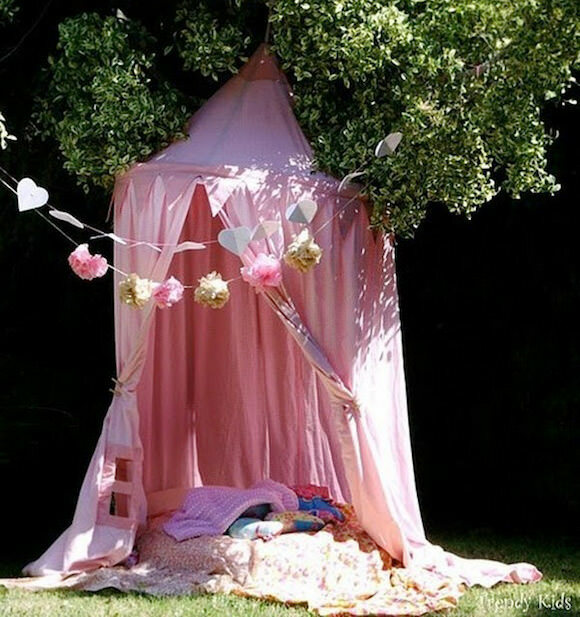 Set up a reading spot in the shade for your prince or princess. You can use a shower curtain and its metal ring or sew your own. Summer reading will be a walk in the park! Hot and sticky outside? 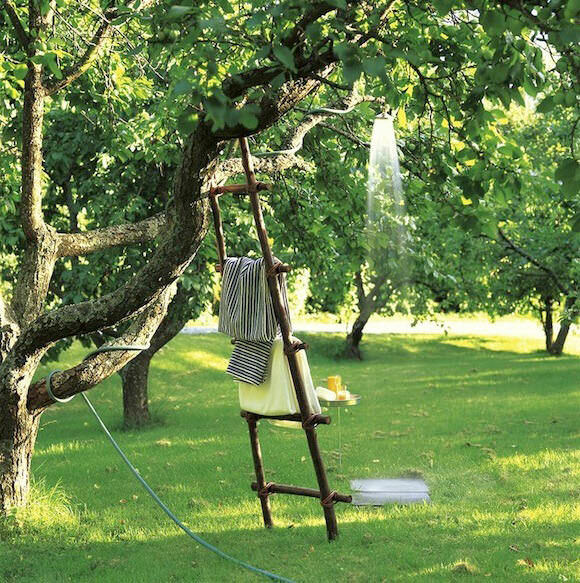 Set up an outdoor shower for the kids in minutes and let them play in the water. Fun guaranteed, no flotation device required! 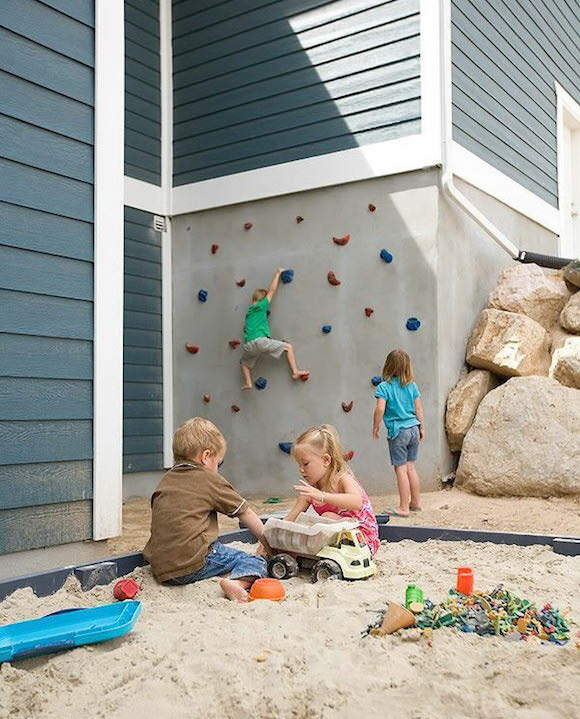 If you have a “dead” outdoor wall, why not let your little adventurer climb Mount Everest in the backyard? Make sure the landing ground is soft (or add a padded mattress in case of a fall). Create a music station for your little Beethoven using kitchen utensils. Now that looks like fun! 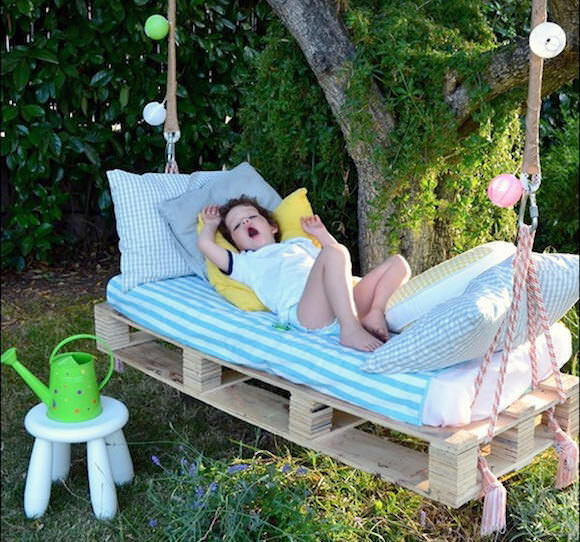 Your little one will demand his or her nap time if it’s in one of these awesome hanging beds! 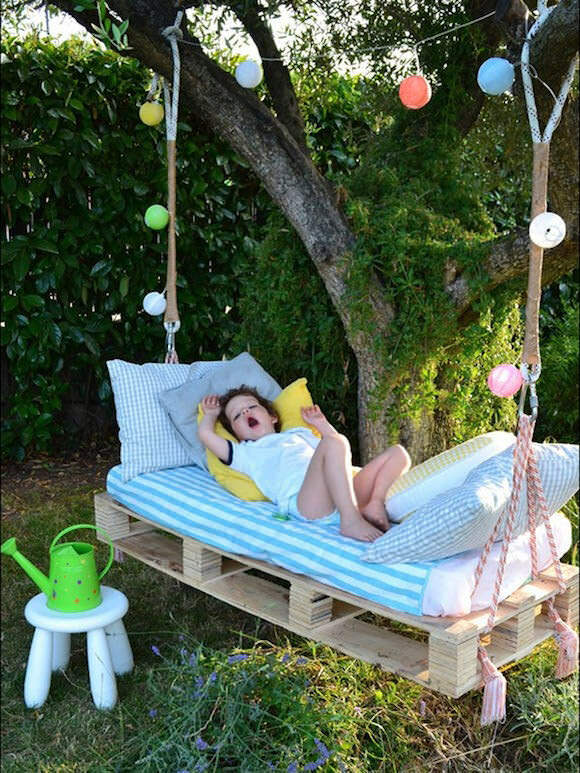 A pallet, a tree, a harness, and some elbow grease, and bonne nuit les petits! 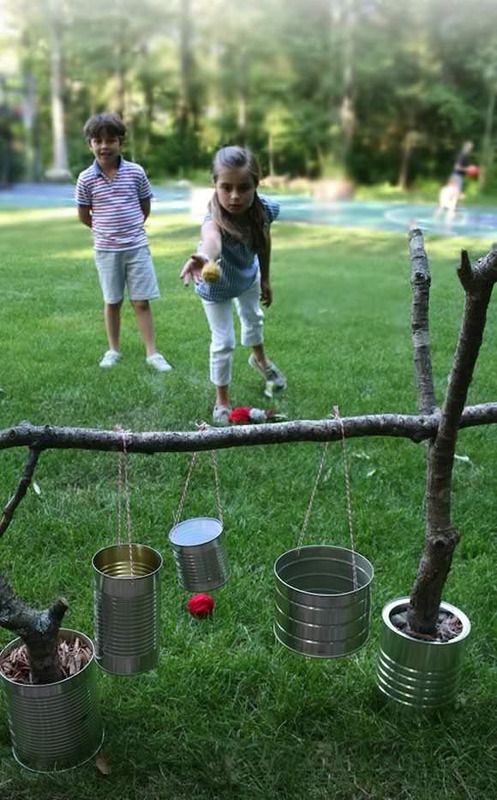 How about a DIY Tiki Toss game? This project will keep the entire family entertained! And finally, another DIY project for both kids and adults alike! 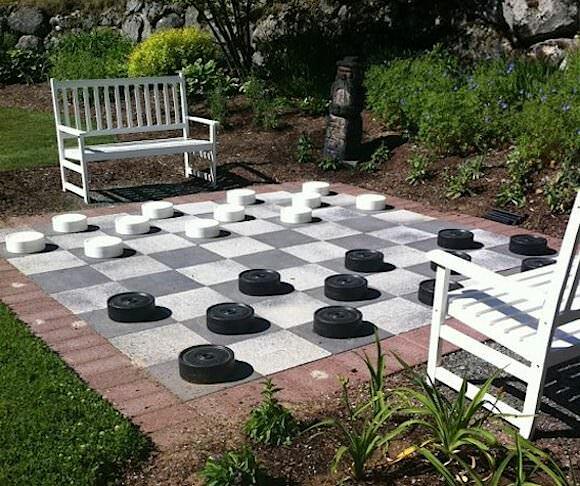 If you have enough space in the backyard, create the setting for a serious game of backyard checkers. Team the parents against the kids and let the entire family go to town! These are great ideas! I love the idea of a sandbox on casters. My little guy would love that! Great idea – the climbing wall! Aha! Had been looking for a little outdoor play inspiration. Perfect timing! Love the musical wall especially. yay! i know, this musical station is awesome… wish I had seen this idea when my now teenage girls were younger. happy Diy-ing! 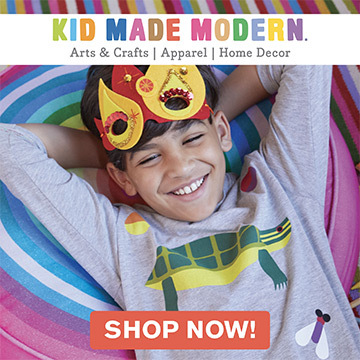 These are all so inspiring, these will definitely keep kids entertained! I may even build one for my parents in their back yard to keep out of the sun. 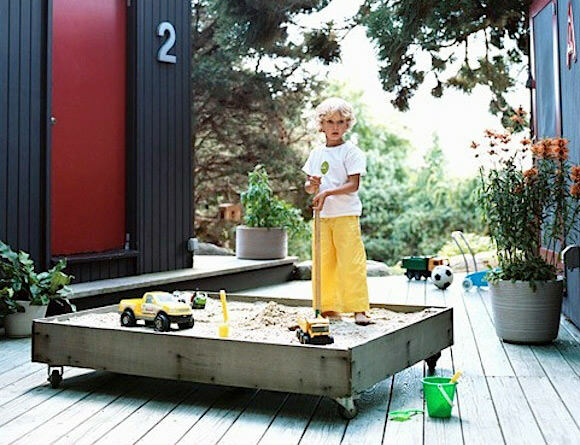 The sandbox on casters is going to be great for any back yard, its so simple to move! I love some of these ideas. The outdoor bed and the outdoor shower are really awesome.